Understand the Asian consumer's demands and effective marketing strategies! The emergence of China as a viable consumer market has created tremendous opportunities for international or multinational firms looking for market entry or expansion in China. At the same time, the evolution of the Chinese economy and the increasing heterogeneity of Chinese consumers also pose a great deal of challenges for global marketers trying to assess and evaluate the Chinese market. 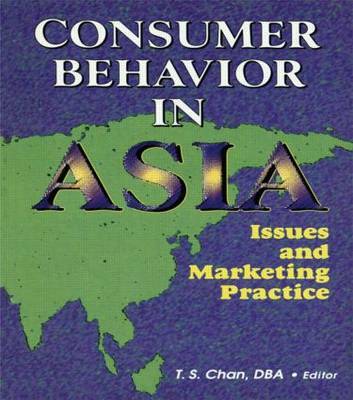 Consumer Behavior in Asia: Issues and Marketing Practice will help marketers and market researchers understand Asia's consumer market by providing you with a consumer segmentation of China's 1.25 billion population as it explores Asia's cultural values, consumer perceptions, and attitudes. From this book, you will discover everything from perceptions and preferences toward advertising and different consumer goods to the emergence and growth of different upper class sectors. Consumer Behavior in Asia provides you with demographics, psychographics, and life-styles of Asian consumers to assist you in successfully entering the Asian market. Academics and business executives will be able to examine the emergence of the Asian markets and focus on the similarities and differences of Asian consumers with Western counterparts. Consumer Behavior in Asia will enable you to accurately assess market demands and enact effective marketing strategies. With this essential book you will explore several studies that reveal information on Asian consumers, including: marketing strategies for firms to adjust and thrive as fast food providers in Asia market segmentation considerations for rural and urban areas a complete outline of China's population segments, buying preferences, and spending power consumer decisions based on the country-of-brand and brand of product Asian generation X-ers'perceptions toward advertising influences of cultural forces on consumer behavior, such as the importance of gift giving Consumer Behavior in Asia provides you with a complete overview of China's economy and highlights the attractiveness of the growing market. The plethora of business opportunities in China is epitomized by the encouraging words one would say to an ambitious merchant--"Go west, young man--to the East!"